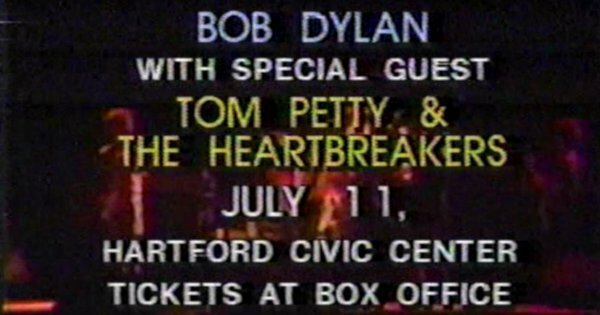 Here’s a commercial for tickets to a Bob Dylan concert at the Hartford Civic Center in Connecticut on July 11th, 1986. His special guest was Tom Petty & The Heartbreakers. This particular commercial aired in May 1986. I would of switched the billing and, of course, put the puppet show last. The last time I was at the Civic Center was for an Janet Jackson concert back in the 90s.